Turn your spring cleaning trash into someone else’s treasure on Saturday, May 4 during this annual sale. Find deals on clothing, electronics, furniture and much more across the city. 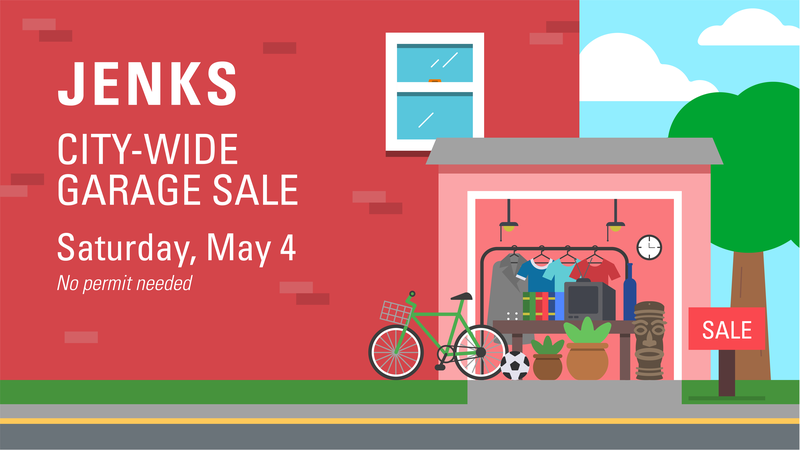 For one day only, Jenks residents can host garage sales without permits in the city limits. There is no charge to participate.